(Nov. 7, 2018) -- UTSA Interim Vice President for Research, Economic Development, and Knowledge Enterprise Bernard Arulanandam has announced plans to initiate a national search for a new director of the UTSA Institute for Economic Development (IED) following the departure of Senior Associate Vice President for Economic Development Robert McKinley. McKinley will leave his role on November 30, 2018 to become Vice Chancellor of Economic and Workforce Development at Alamo Colleges. Albert Salgado, currently the Executive Director of the UTSA South-West Texas Border SBDC Network, will serve as Interim Director of the IED and will report directly to Arulanandam while the national search is underway. The IED is recognized both nationally and internationally as an economic development powerhouse. In 2018 alone, the Institute advised 43,320 businesses, which led to 6,238 jobs created, 565 business starts, 534 business expansions, 1,123 training events with 30,815 training participants, $34 million in new tax revenue generated, $2 billion in new sales, contracts, and exports, and $2.9 billion in Direct Economic Impact – a record breaking year for the Institute. On the international front, it has been a leader in promoting the U.S. State Department's Small Business Network of the Americas, a 2012 initiative that includes a new network of Small Business Development Centers based in universities in 22 Western Hemisphere countries to-date. Currently there are more than 250 SBDCs operating abroad, which have served more than 230,000 small businesses. 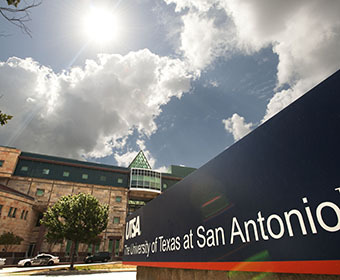 Learn more about the UTSA Institute for Economic Development.